Pastor’s Profile - swissjegs Webseite! 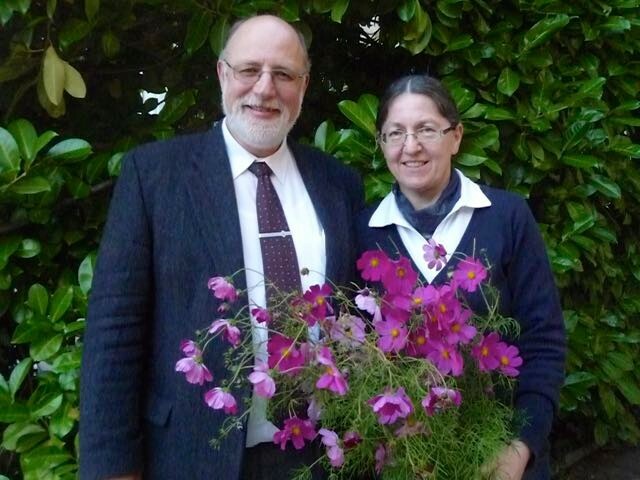 Born in Tokyo to a German missionary couple and raised in Ibaraki Prefecture of Japan, Martin Meyer attended Liebenzell Mission Seminary during 1979-85, and conducted studies in Theology and Mission Studies. He underwent English language studies in London during 1984-85 and has worked since 1985 as a Liebenzell Missionary to Japan. He underwent Japanese language studies in Tokyo during 1886 and became a Missionary of a ministry in Ibaraki Prefecture during 1987-91. During 1991-98 he was the Camp Director of “Okutama Fukuin no Ie,” a Christian camp in Japan, before returning to Germany, where he became the Regional Representative of Liebenzell Mission in southern Germany during 1998-2008. He took part in intercultural studies at Columbia International University during 2000-12, and served as Pastor of the “Evangelische Gemeinschaft Ihringen e.V.”, southern Germany during 2008-12. He graduated with a M.A. degree from the Columbia International University in 2012, and during 2012-2013, acted as the Interim Director of Christian Guesthouse Bethel, Zedakah e.V. Since 2013, Pastor Meyer has been the pastor of the Japanese Evangelical Church of Switzerland. He concurrently conducts his own business, working as an Intercultural Business Consultant. He has been married to Ruth since 1986, and they have three grown children.